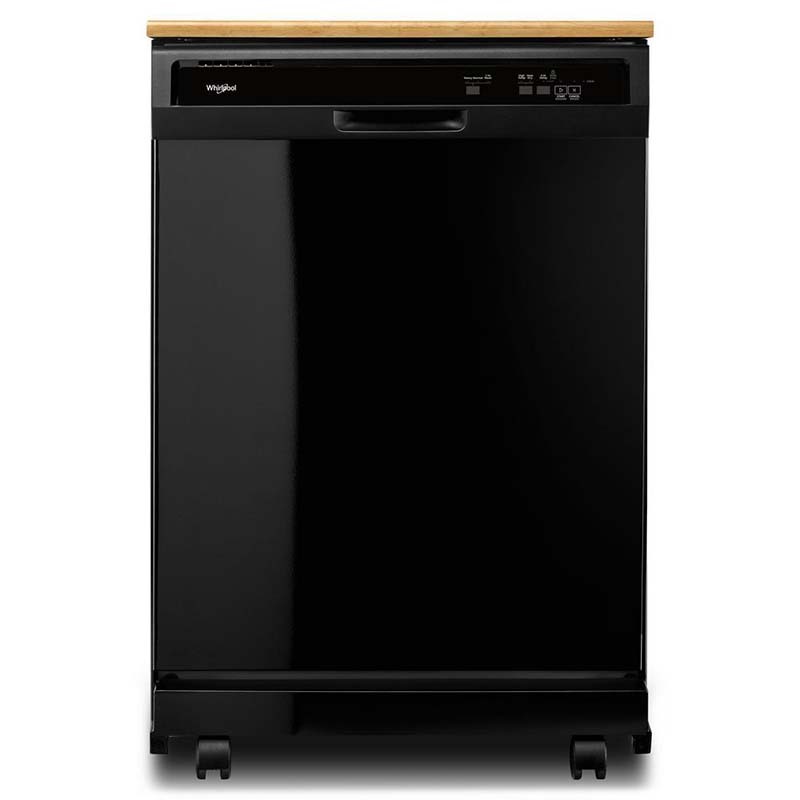 Perfect for small spaces, the efficient Whirlpool Black Portable Dishwasher can clean 12 place settings in an hour! Its portable design makes installation easy, and its soil sensor determines if a cycle needs to be extended. This model also features a heavy duty cycle and high-temperature option to tackle tough grime.